So, CBS is has decided to strike out on its own with a streaming app. The question is, is it worth it to streamers? While every other network’s TV shows are available on Hulu, CBS has its own streaming service. It’s called CBS All Access and it sells for $5.99 per month for two simultaneous streams of CBS Live (in 150+ markets and On Demand with ads. (There’s also a $9.99/month commercial-free version of the same deal.) This gives users access to CBS’s latest shows one day after those shows air on TV. There also are thousands of episodes from past seasons, streaming-only releases, and much more. Best of all, you can sign up for a free trial, and you can cancel any time since there’s not contract. Stream current seasons of hit CBS shows such as Big Brother, Blue Bloods, and Madam Secretary. Stream to a variety of devices including: Roku players, Apple TV, Xbox One, Xbox 360, Chromecast, Amazon Fire TV, Amazon Fire Stick, and more. Get the app to stream to your smartphone and/or tablet available on iPhone, iPad, and all Android phones and tablets, as well as Windows 10 devices. Stream classic shows including Twin Peaks, Cheers, and Wings. Watch every episode of Star Trek. Exclusively stream the newest Star Trek Discovery series and the Good Wife spin-off. Streaming Big Brother’s live feeds. CBS All Access definitely offers a lot for a rather low price. It’s free trial and no contract purchase also make this a no-risk proposition. Wow! CBS All Access sure sounds like a great deal. If you’re considering this option, you have to ask yourself one very important question: Is CBS All Access worth your monthly investment? To be honest, I would say no. This streaming service might only appeal to a diehard Trekkie like our long-term space cadet and resident curmudgeon, Stuart Sweet. But I know Stuart is smart enough not to pay nearly $10/month for just one show, no matter how badly he wants to see it. As its name implies, this service is only good for series and movies that CBS owns. While it’s a lot, it’s not everything that’s worth streaming. You have to wait at least a day to stream any of CBS’s primetime shows. Some users have reported a one-week playback delay on The Late Show with Stephen Colbert. You can get CBS for free with a TV antenna. A new Star Trek series isn’t enough of a novelty to make your investment in this service worthwhile. Speaking of commercials, some users have reported that the system crashes at each commercial break. Based upon my research and knowledge of my streaming habits, I know CBS All Access wouldn’t be worth my time. Yes, I do love some CBS shows but not to the exclusion of everything else. By comparison, DIRECTV NOW continues to add many CBS local affiliates and CBS-owned CW channels to its lineup. This is in addition to its many other channels. If I wanted to stream my favorite programming to two devices, this would be a much better way to go, given the programming variety. Despite my dire warnings, I know that some readers might try CBS All Access anyway. If you think this is the streaming service for you, perhaps you should read some of the online reviews. Multitudes of angry users venting about their substandard experiences might be enough to make you change your mind about CBS All Access as the ultimate streaming service! 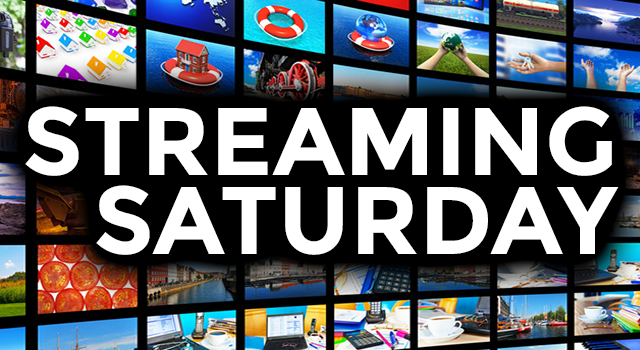 STREAMING SATURDAY: Do Streamers Really Care about 4K?